The Mac OS X 10.7 Lion OS has been launched and available in the Mac App Store from where you can download the OS directly and install it, but many would want a clear installation with an option to re-install later and this is where an external drive would be needed. The physical copy of the installation is always required for future use, and using the Disk Utility in your Mac you can create a DVD for the manual installation of the Lion version of Mac OS X. Why to Burn a DVD or USB Drive for Installation? Note that you need a DVD Drive or USB Drive of a minimum storage of 5GB for the drive installation. And the installer for Lion deletes by itself once the installation of Lion is completed, so it is better to make the DVD before you install the Mac Lion in your Macbook. Download the OS X Lion from the Mac App Store. You would see the installer app in the list of Applications in your Mac using which you can upgrade to the OS X Lion version. 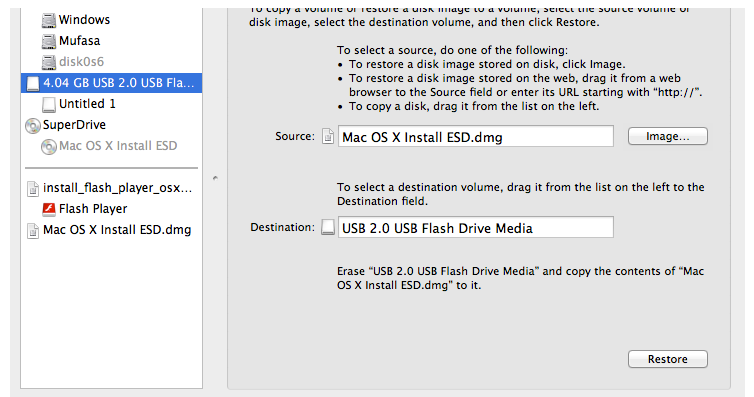 As said above, the creation of USB drive or DVD drive is pretty advantageous than the direct upgradation of the previous Mac OS X version to the Lion 10.7 version.